1.Please read the instructions given in the OMR Answer Sheet for marking answers. Candidates are advised to strictly follow the instructions contained in the OMR Answer Sheet. A. Graph 1. Calc carb. 4)Remedy for cough only in daytime. 11)Which among the following is the cognate of Baryta carb in tonsillitis according to Dr. Kent ? C. Buck bean 3. Ranunculacea. 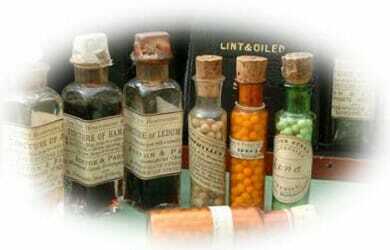 13)Which among the following authors have written the book “A Manual of Homoeopathic Therapeutics”? 14)Which remedy according to Boericke is efficacious in clearing the remnants of cancerous deposits ? 15)Which among the following symptoms are characteristic of Natrum carb ? 16)Which of the following symptoms are not covered by Phosphoric acid ? B. First stages of a cold with chilliness & Sneezing 2.Cuprum met. C. Asthma < 3 AM 3. Verat alb. 22)Which remedy is prepared from the meconium deposit out of the amniotic fluid of the mare or the cow ? 27)A Child with asthma has 2 – 3episodes of breathlessness occurring in the same night. The episodes occurred mostly after midnight, and on a few days had severe episodes around 3 am. The child is frightened easily, and asthmatic attacks follow such instances. The parents said that the child was fat earlier, but was now losing weight. 28)Which among these remedies have dryness of mouth with thirstlessness ? B. Desire tomatoes 2. Gelsemium. 49)No single symptom, no matter how rare and peculiar can strong without the support of well taken case and likeness of whole patient of the remedy. who told this? c) It is an accessory vein d) It is a deep vein. c) obturator & sciatic nerve d) only sciatic nerve. 65) Which nerve is “Musician‘s nerve”? c) Chronic pancreatitis d)chronic appendicitis . 117.Who filled the chair of Materia Medica in the homoeopathic college of Pennsylvania from 1863 -1868. 124. A small globule of the decillionth fold dilution of ——- gives , with abstinence from vegetable acids,so that the most violent pleuritic fever with all its alarming concomitants is changed into health and cured without the least abstraction of blood and without any phlogistic remedy,in a few –at the most in 24 hours. 127. 50 years expeience of this sort is like 50 years of looking into a kaleidoscope filled with unknown coloured objects and perpetually turning round ;thousands of everchanging figures and no accounting for them! 128. No physician ever effected a permanent cure of diseases of considerable or of longstanding unless some homoepathic medicinal agent was accidently a chief ingredient in his prescription. 140 .In section 201 hahnemann tells that old ulcers in the legs get worse as long as internal—– is uncured.